Do you remember what the future looked like when you were a kid? Did you imagine taking your hoverboard to school, zipping around town in flying cars, having robot friends, playing sports in outer space, calling home on your holographic device, and conducting intergalactic travel in seconds? What we might have imagined as kids isn’t that far off today, especially with virtual reality (VR) and augmented reality (AR) becoming accessible to more people of all ages. With an annualized growth rate of 113% due to reach $215 billion in 2021, VR and AR are here to stay. 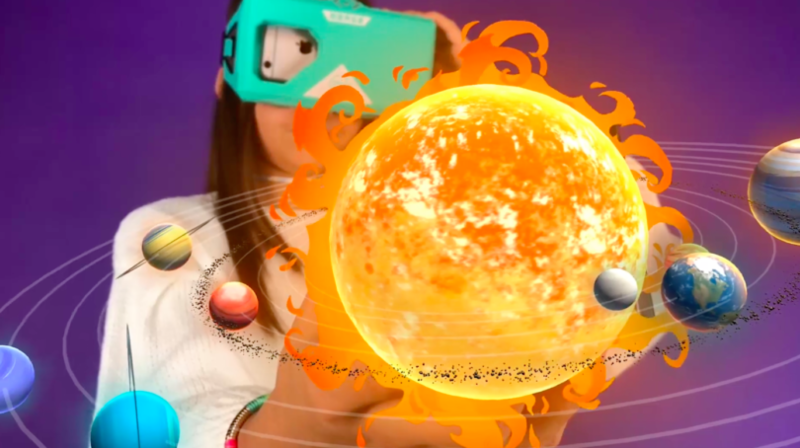 MERGE, is one immersive company that is helping shape the future of play by creating and evolving a kid-friendly XR ecosystem that’s affordable and accessible with an abundance of fun quality content. 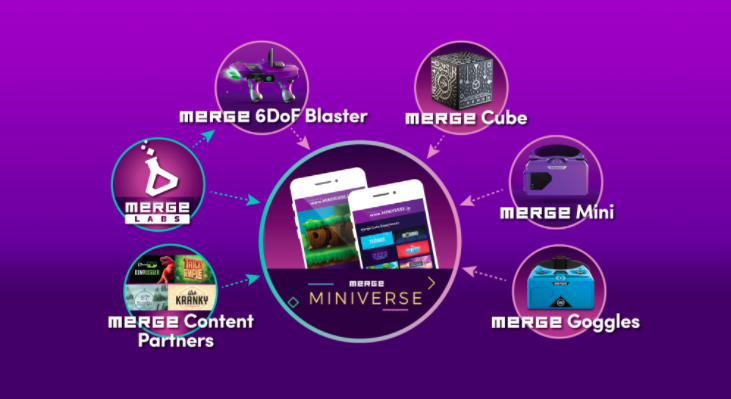 The MERGE ecosystem includes MERGE Miniverse, the only curated mobile VR/AR content library made for younger VR/AR explorers, the company’s holographic MERGE Cube, and their marshmallow-soft MERGE Goggles. At CES 2018, MERGE is announcing two more VR/AR product additions to their ecosystem. The company will unveil the MERGE 6DoF Blaster – a breakthrough product that seamlessly merges the digital space with the real world without using a VR headset, and MERGE Mini – a smaller, lighter, and more accessible version of their original VR/AR goggles. The MERGE 6DoF (6 Degrees of Freedom) Blaster uses positional tracking technology that allows you to maneuver around virtual worlds by moving, ducking and jumping in the real world – ultimately transforming the world into your own playground. MERGE will open the Blaster SDK to developers and games studios worldwide, and will release specs to enable manufacturers to make their own Blaster-compatible products. MERGE 6DoF Blaster is expected to hit retail shelves in Summer 2018. MERGE Mini is a small and lightweight VR/AR headset designed for kids ages 10 and up. It takes all the features of the original MERGE Goggles and offers the most accessible and affordable way for younger users to explore high quality mobile VR/AR experiences, while still being comfortable for everyone. MERGE Mini will also hit retail shelves in Summer 2018. MERGE is not only bringing together the physical and digital worlds with their products, they’re also continually evolving and building their platforms through content partnerships, licensing agreements as well as creating new products and immersive experiences through MERGE Labs, the company’s global development community. The future of play is filled with magical experiences in the physical and digital world that help make kids smarter, more creative, and more collaborative. While we can’t jump in our Delorean or time traveling phone box just yet, we can always go on a journey through imagination, creativity, and fun with companies like MERGE.